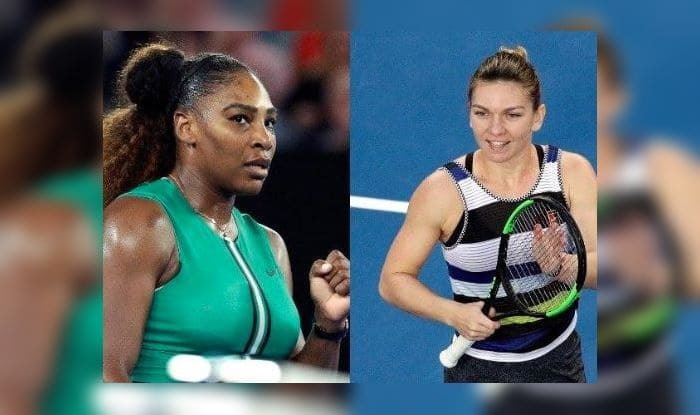 Australian Open 2019 Serena Williams vs Simona Halep 4th Round Live Streaming: Serena Williams locking horns with Simona Halep at the Rod Laver Arena is surely the finals before the finals in the women's draw. Australian Open 2019 Serena Williams vs Simona Halep 4th Round Live Streaming: Serena Williams locking horns with Simona Halep at the Rod Laver Arena is surely the finals before the finals in the women’s draw. Halep is the runaway favourite to win the crown but Serena is not going to be an easy matchup as she will bring all her experience into play against her lesser-experienced opponent. Serena last won an Australian Open in 2017, kicked off the proceedings against T Maria, whom she crushed 6-0, 6-2 to move ahead in the tournament. Then she locked horns with E Bouchard, who she beat in straight sets 6-2, 6-2. She has not had a tough match as yet and that could also backfire, but she has looked in good shape and her fitness level is not that bad. Her Romanian opponent on the hand has already had a few tough games before she progressed to this stage of the tournament. What time will Australian Open 4th round match between Serena Williams and Simona Halep start? The Australian Open 4th round match between Serena Williams and Simona Halep will start at 1:30 PM IST on January 21. Where will the Australian Open 4th round match between Serena Williams and Simona Halep take place? The Australian Open 4th round match between Serena Williams and Simona Halep at Rod Laver Arena. Which channel will telecast Australian Open 4th round match between Serena Williams and Simona Halep? The Australian Open 4th round match between Serena Williams and Simona Halep will have a live telecast on Sony Six/HD and Sony Ten 2/HD. How to watch the live streaming of Australian Open 4th round match between Serena Williams and Simona Halep? The Australian Open 4th round match between Serena Williams and Simona Halep will be available on Sony Liv.